When it comes to hiking, there are mountains—and then there are the mountains that haunt your fantasies. The legendary peaks that don’t come so easily. The ones with iconic shape, or stunning cliff faces. 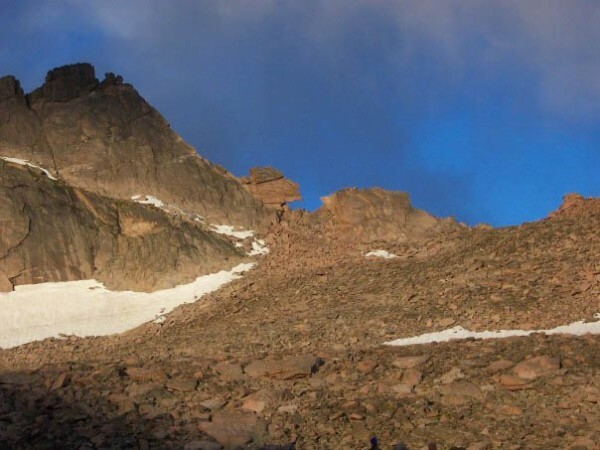 Longs Peak in Colorado’s Front Range is one of those mountains—one of the most scenic and challenging summits to bag without technical climbing. I fell in love with Longs as a 16-year-old hiking it in jeans and a cotton T-shirt. We ran out of water. I ripped a hole in my jeans and got super cold near the summit. But the scenery and the experience hooked me. I’ve gone back several times since—with more mountain savvy and better clothing, for sure—which makes the experience a little less Type-2 fun. Here are my tips for making it to the top via the Keyhole Route and have fun doing it. Longs Peak lords over Colorado’s Front Range. Driving toward Denver from the east, its pyramid shape slowly rises from the plains, higher than the surrounding peaks. 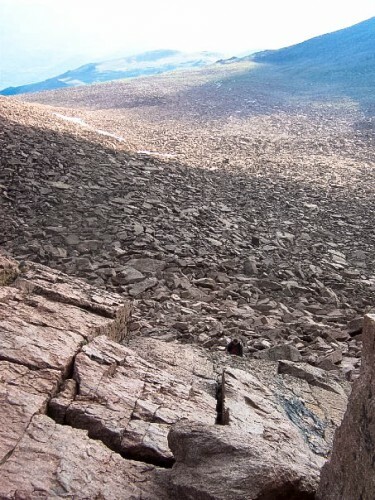 Its magnetism pulls several thousand hikers each summer to attempt the summit. Obviously, Longs is not the place to go for solitude—be ready to share the summit with dozens of people on a busy summer weekend—but there’s a reason so many people make the trek. The hike past its sheer east face, the 900-foot Diamond, is enough to sizzle into your memory for years to come. Aside from the peak’s own beauty, it’s also the highest in the immediate area, so the views from the top are worth all the pain of hiking up. The trailhead is less than two hours’ drive from Denver, too. And while most of the other 14ers close to Denver look like giant talus piles, Longs stands out with its spectacular sheer rock face. It certainly wins points for being photogenic. The trailhead is at 9,400 feet, which means you have almost 5,000 feet of elevation to hike before the summit at 14,259 feet. And then 5,000 feet to descend afterward. This is stretched over a 15-mile round trip, which takes most people between 10 and 15 hours. The high elevation takes a toll, even on fit hikers, and the sustained boulder scrambling is more physically taxing than typical hiking. 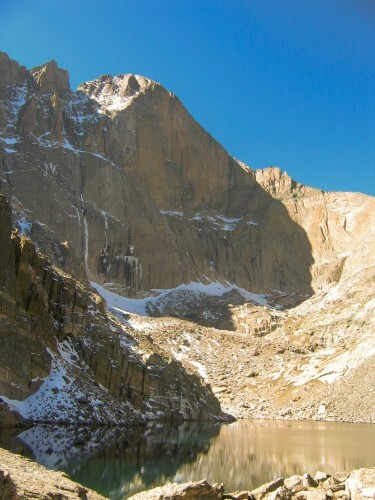 Even when I’ve felt like I was in pretty good shape, Longs Peak always leaves me exhausted and a little sore. 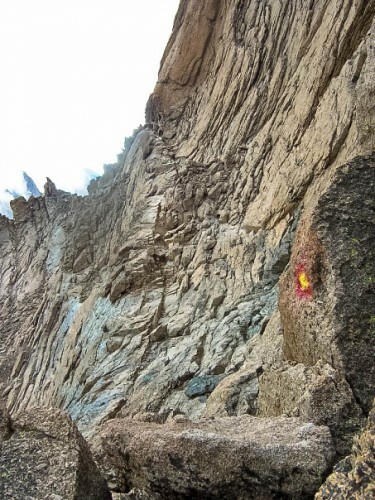 Longs has a well-worn nontechnical trail, but that doesn’t mean it’s easy—or safe. The “trail” turns to narrow rock ledges and hand-and-foot scrambling on highly exposed rock faces. And once you’re above tree line, you’re also significantly more exposed to the elements: the notorious afternoon mountain thundershowers, intense winds and surprisingly cold temperatures even when Denver is sweltering in the 90s below. Between lightening, hypothermia and falls, the mountain has claimed dozens of lives. -Remember “cotton kills.” A nontechnical 14er might seem casual if you’re used to mountaineering ascents, but temperatures can fluctuate vastly, and at 14,000 feet, hypothermia doesn’t discriminate. 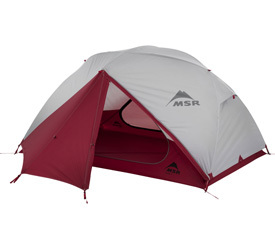 Pack a rain shell and insulating layers, as well as a hat and gloves, plenty of sunscreen and sunglasses. -Give yourself plenty of time. I’ve left the trailhead as early as 2 or 3 a.m. to make sure I have plenty of time to be up on the summit and then down below tree line before noon, when the typical afternoon thunderheads start threatening. -Pace yourself, eat and drink even when you don’t feel like it. The best way to keep altitude sickness at bay is to allow plenty of time to acclimate. But staying hydrated and giving your body plenty of food will also help keep you feeling strong and keep your stoke high. Pack foods you really, really like to eat on flat ground, since often altitude will all but eliminate your appetite. -Keep an eye on the sky and don’t get summit fever. The last place you want to be when lightning starts crackling or the rocks get wet is the exposed, steep summit of Longs Peak. Sometimes, even if you’ve done everything right and given yourself plenty of time, the weather can be contrarian. Moving forward is never worth the risk. In my opinion, once you’ve broken above tree line and glimpsed the Diamond up close, you’ve bagged the very best part of the peak anyway.